A real-time application (RTA) is an application program that functions within a time frame that the user senses as immediate or current. The latency must be less than a defined value, usually measured in seconds. Whether or not a given application qualifies as an RTA depends on the worst-case execution time (WCET), the maximum length of time a defined task or set of tasks requires on a given hardware platform. The use of RTAs is called real-time computing (RTC). 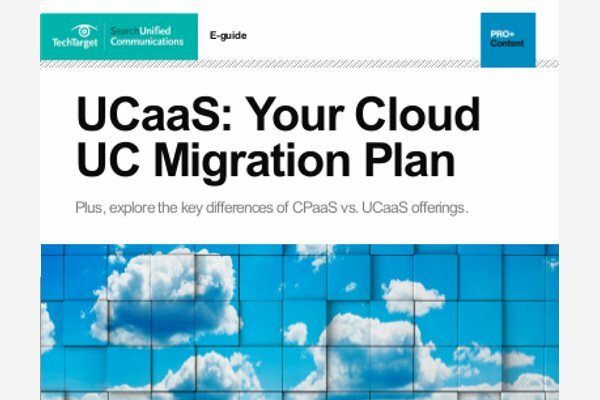 Featuring advice from industry experts at Nemertes Research, West Gates Networks & Frost & Sullivan, this guide explores differences between UCaaS and CPaaS tech, and key features of UCaaS to help you make a more informed buying decision and reap all the benefits of cloud UC. Software developers employ MDD (model-driven development) to obtain optimum RTA performance using UML (Unified Modeling Language). MDD allows people to work together on a project even if their experience levels vary. UML is a standard notation for the modeling of real-world objects in object-oriented design. Network World writes about real-time collaboration. How can I address the challenges of real-time apps over Wi-Fi? Should team collaboration apps be stand-alone or integrated? How do you train an AI service for collaboration? How should companies evaluate team collaboration apps? How does a single pane of glass impact collaborative apps?